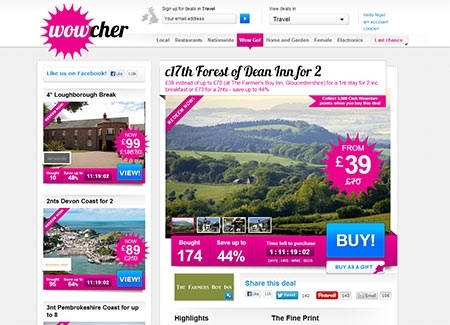 Wowcher is a popular eCommerce site providing location based deals. Employed as a UI/UX developer providing design and development for the Wowcher web and mobile sites. Creation and implementation of new features. Investigation of issues and bug fixes, Prototyping, User journeys and Wireframes. 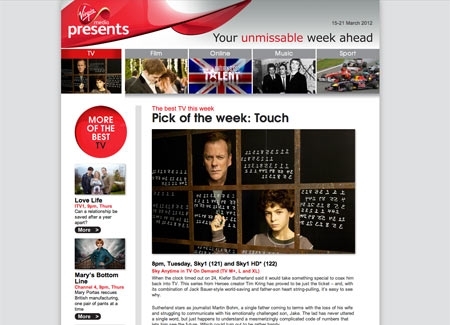 Employed as a freelance developer by Redwood Publishing to develop a Wordpress based CMS for their client - Virgin media. Set up of custom themes for desktop and mobile versions of the site. I also created custom plugins for social media tracking and a method to show different content to individual customers depending on what virginmedia package they have. Bizarre Magazine the UK's leading alternative lifestyle mag. Design graphics and usability walkthroughs for each page of the site. Mobile downloads of videos and ecommerce functionality for subscriptions to the user generated content on the site. And the development of Ultra vixens and savage hearts Social networking microsites. Crafts is the only British magazine to cover all craft forms, from studio work to public commissions, from modern experimental work to traditional and historic designs. 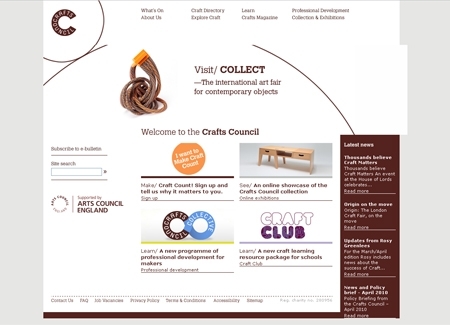 The Crafts Council is the UK’s national organisation for the promotion of contemporary crafts. Design and creation of the original site featuring a simple, fully accessible and visually engaging web presence for a public service organisation. 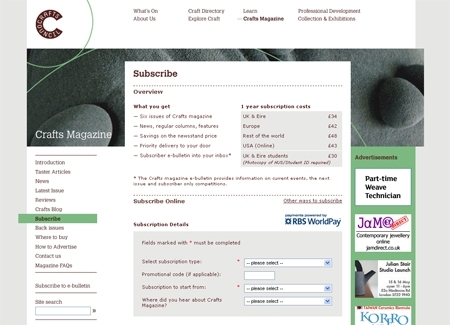 A new template was designed using HTML and CSS. The site was praised in Webactive magazine where it received 4/5 star rating.